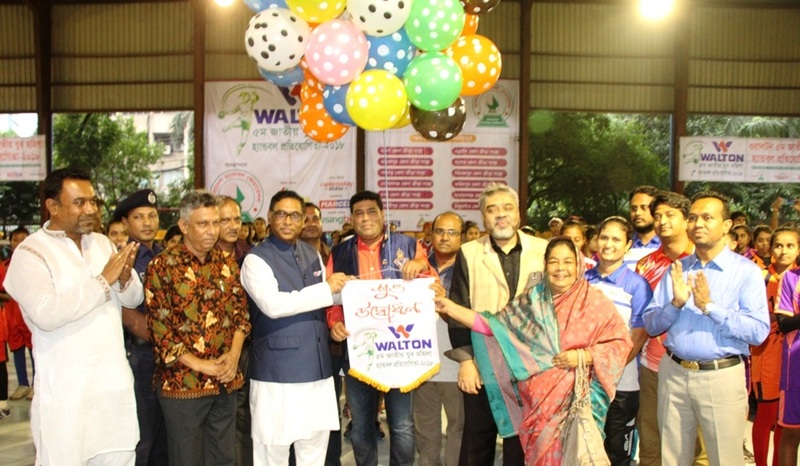 Dhaka, Oct 13 : Dhaka DSA made a good start in the Walton 5th National Youth Women’s Handball Championship beating Gopalganj DSA by 19-13 goals in the opening match at the Shaheed Capt (Retd) M Mansur Ali Stadium here on Saturday. The winners clearly led the first half by 14-3 goals. State Minister for Energy and Mineral Resources Nasrul Hamid MP inaugurated the meet in the afternoon. Operative Director of the meet’s sponsor Walton Group Iqbal Bin Anwar was also present as special guest. In the day’s other matches, Jamalpur DSA defeated Madaripur DSA by 18-10 goals (first half 9-7); Panchagarh DSA outplayed Faridpur DSA 22-4 goals (first half 10-2) and Naogaon DSA crushed Narayanganj DSA 19-1 goals (first half 12-0).